This Computer Graphics Systems project was to design a poster that shows a process. 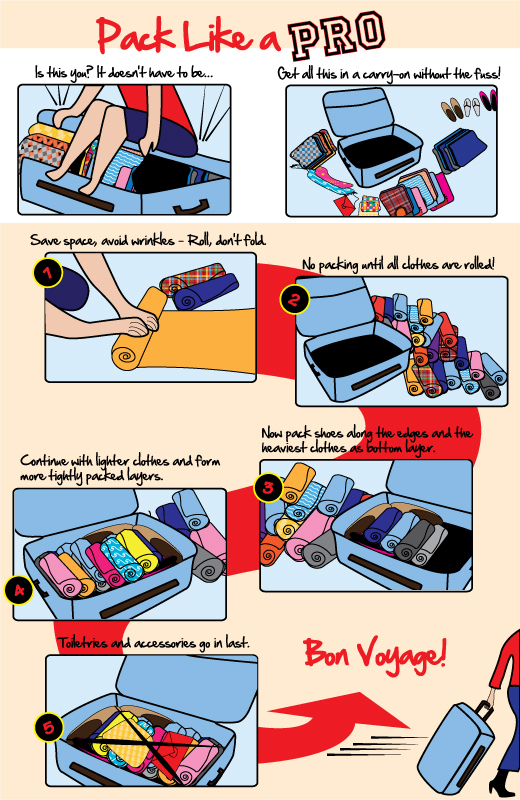 My poster shows a five-step process with detailed illustrations for packing a carry-on suitcase in a space-efficient manner. The design incorporates graphical elements that help the eye move from one step to another without having a strictly linear layout.